Do I need to pay a deposit when I make a booking with you? We would require a 20% deposit to confirm the booking. 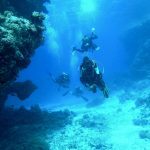 ‹ Do you also cater for diving clubs and groups?